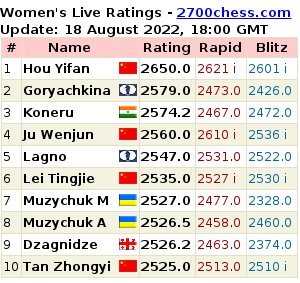 Noteworthy is that according to the ratings on March 1st Ukraine became the top seed, Georgia is second, Russia - 3rd, China is 4th only because the team will play without Hou Yifan and Zhao Xue. Turkey to play at the WTCC. But When and Where? The information we've reported earlier has been officially confirmed: Kirsan Ilyumzhinov chose Turkey to participate at the Women's Team Championship. 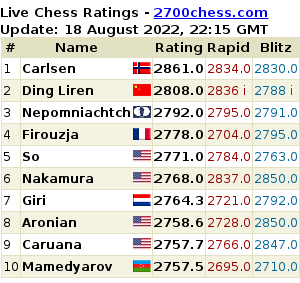 The participants' list is published on FIDE website (pdf) in the agenda of the Presidential Board which will take place from January 18th to 21st in Tsakhadzor, Armenia. As previously advised, the opening ceremony and draw for the women's world championship took place today in Chengdu.